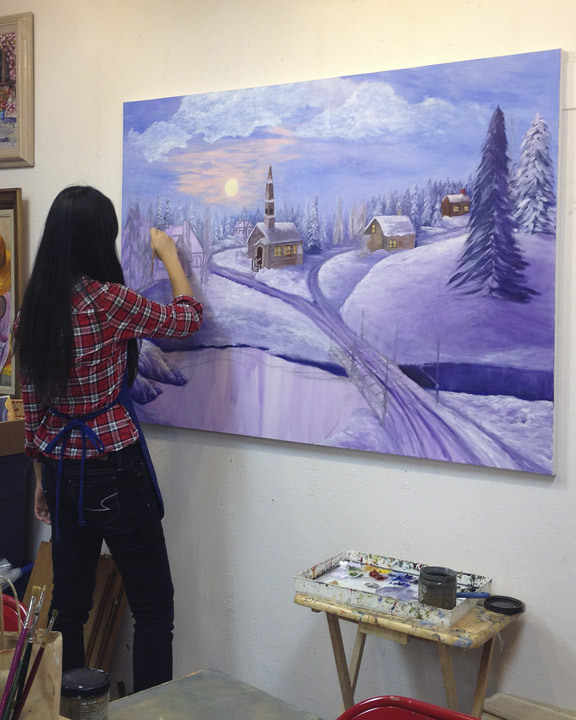 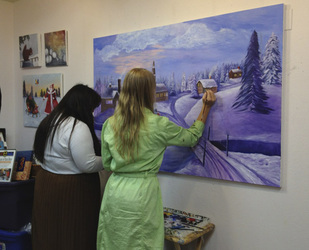 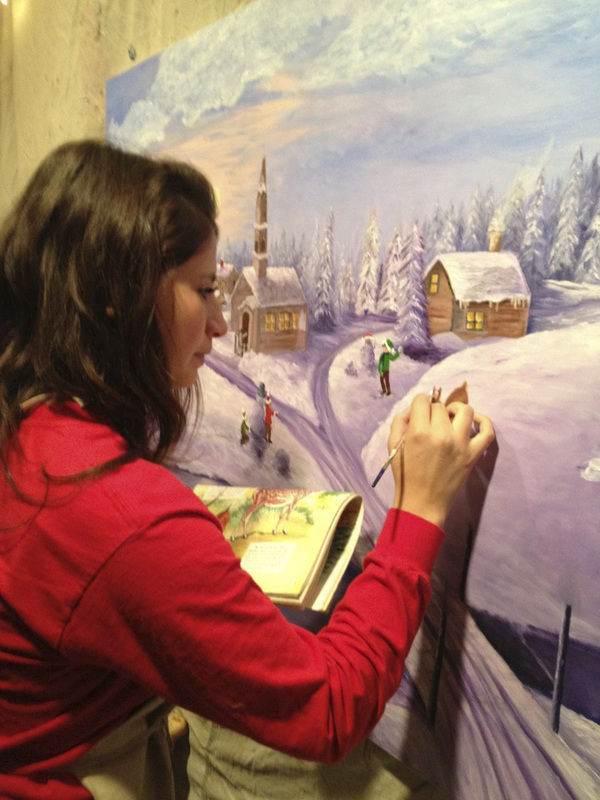 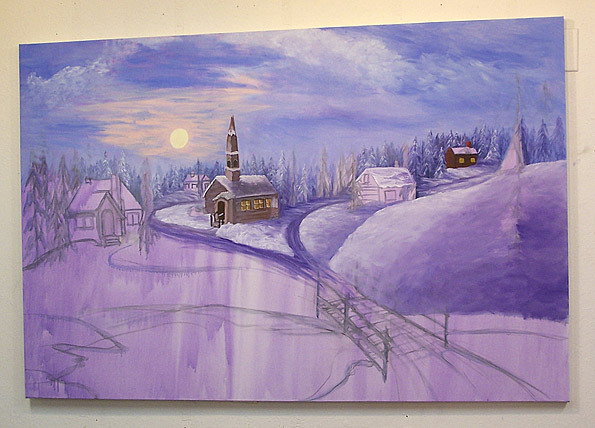 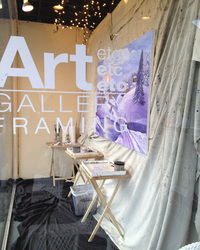 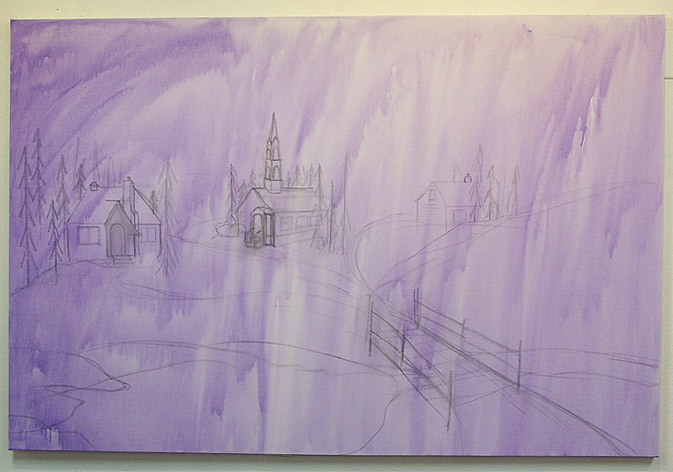 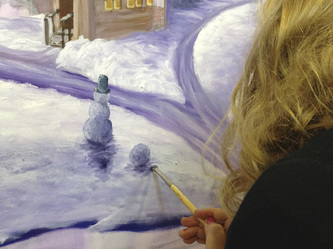 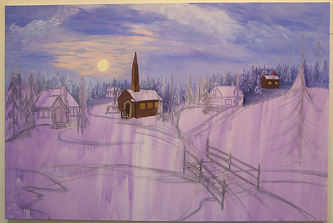 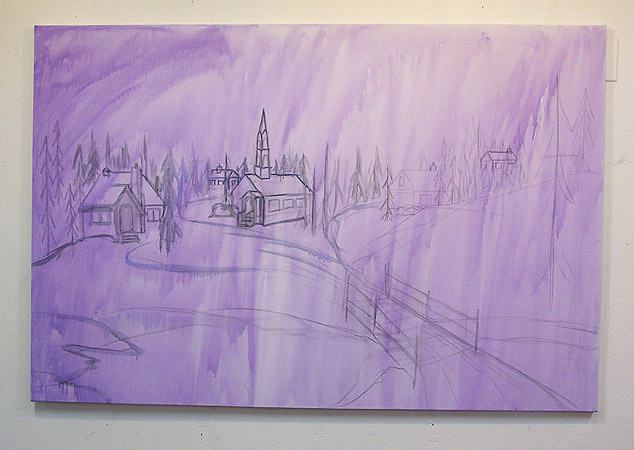 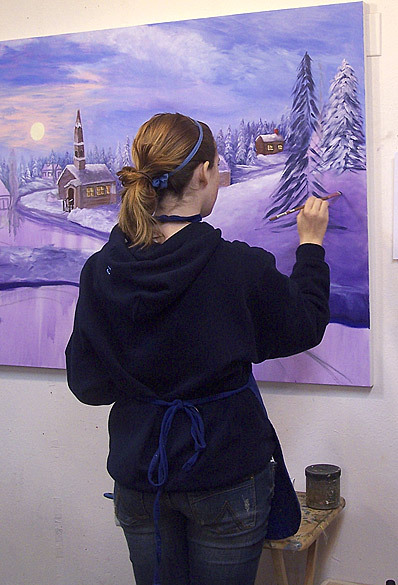 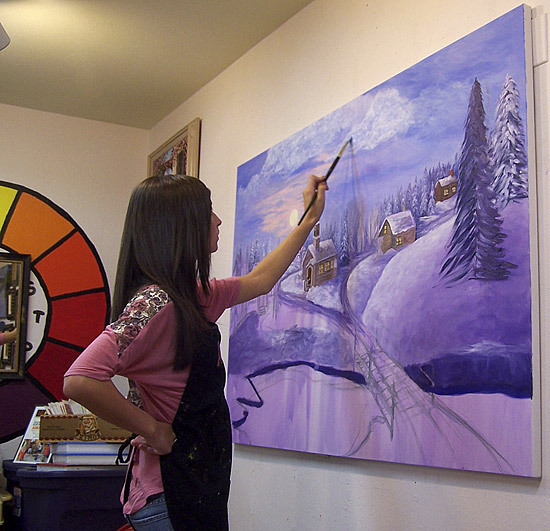 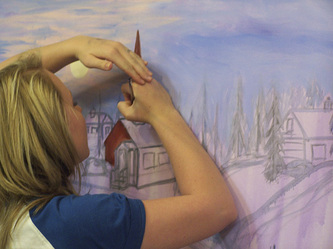 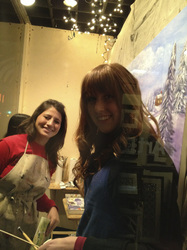 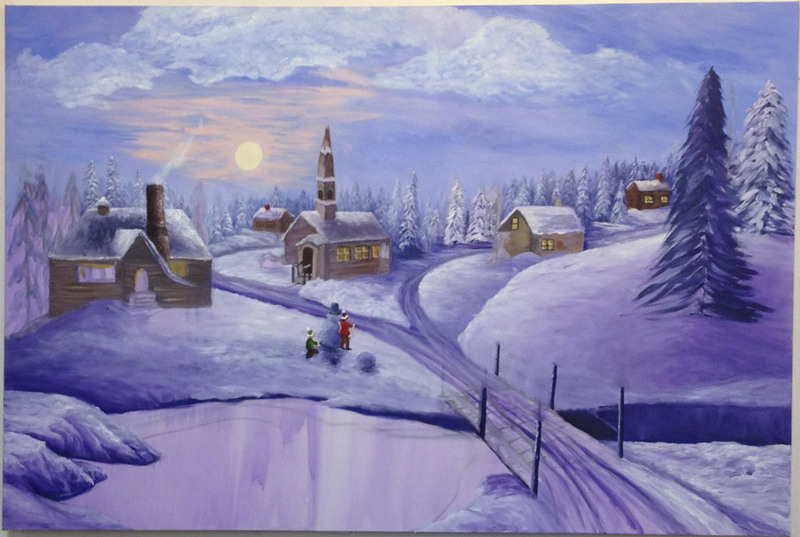 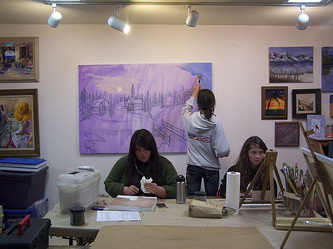 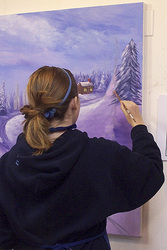 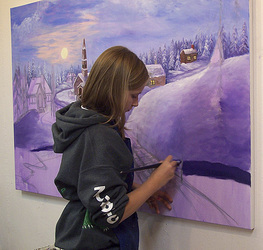 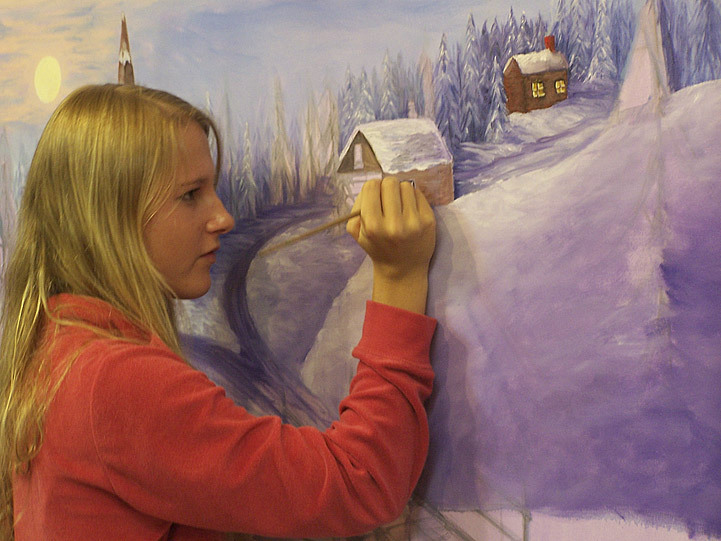 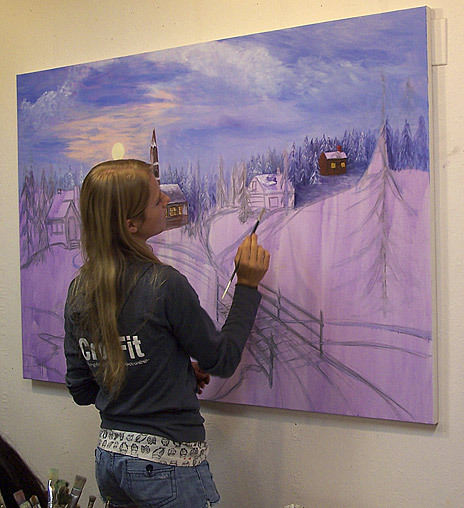 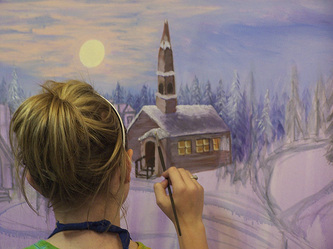 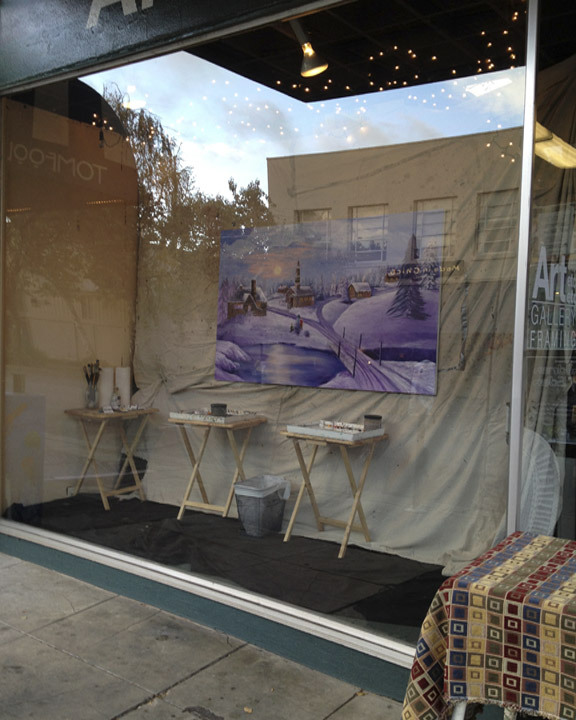 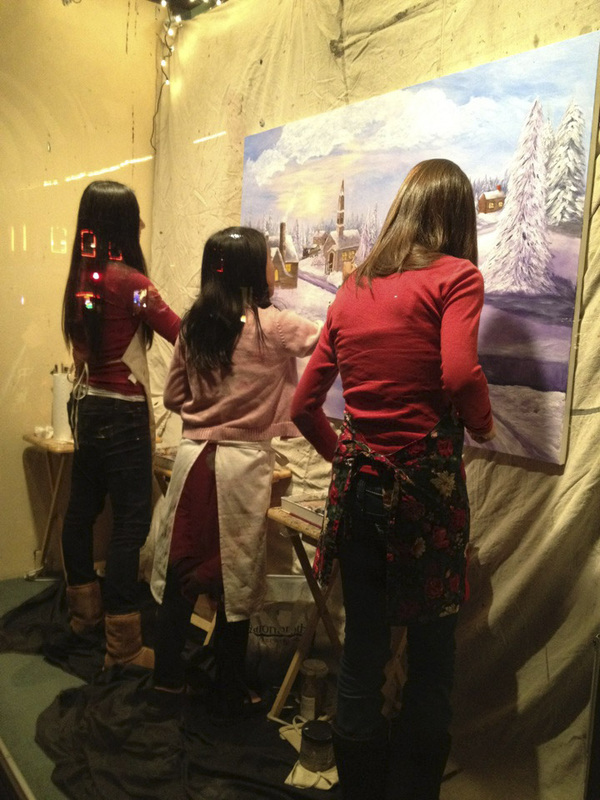 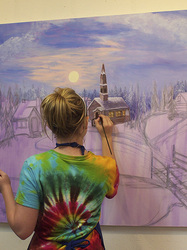 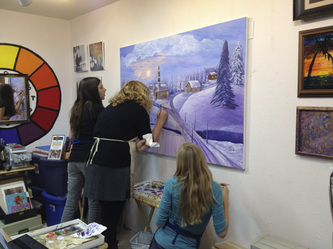 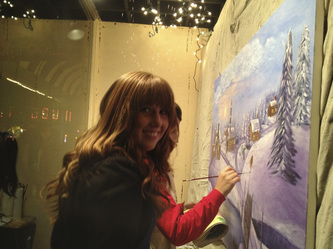 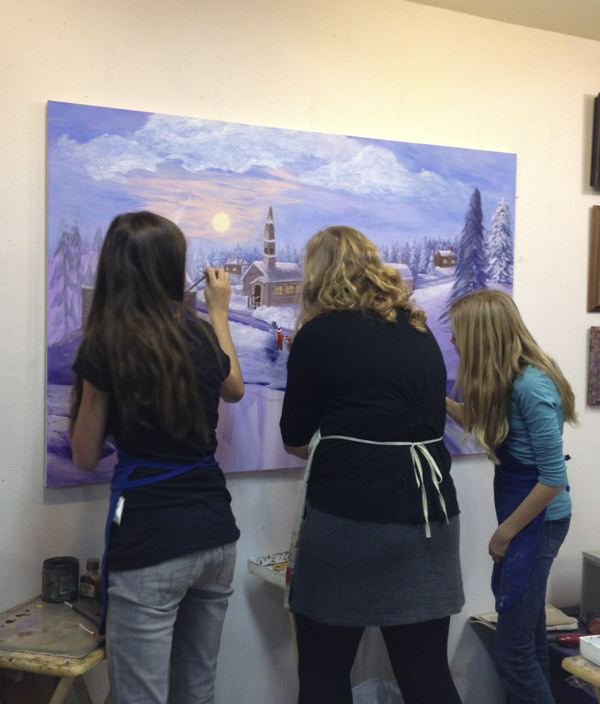 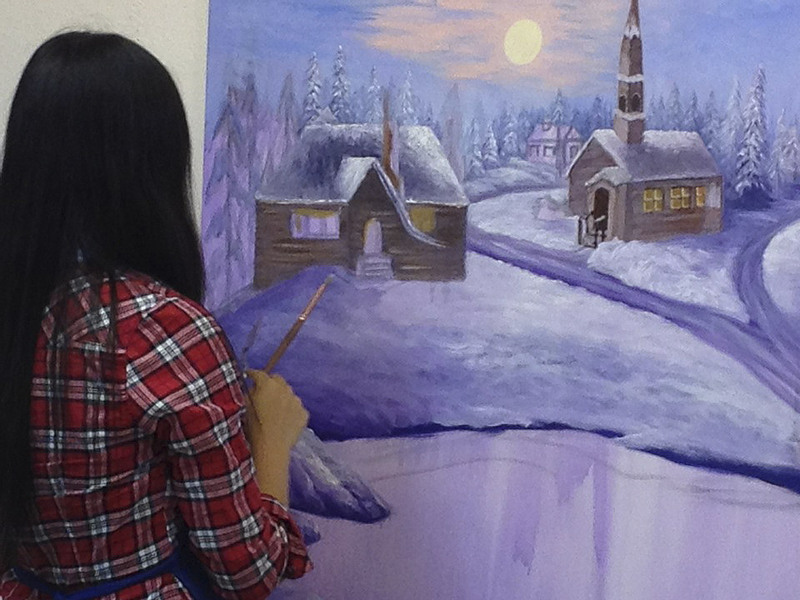 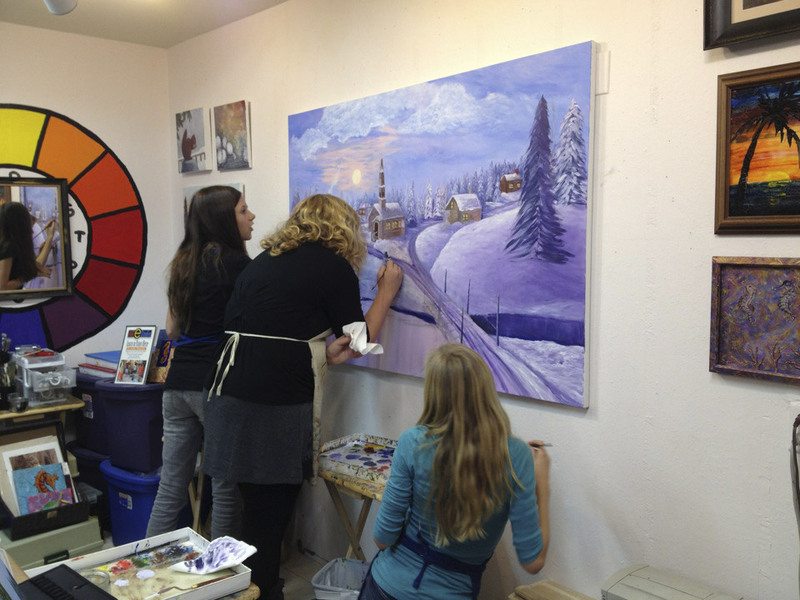 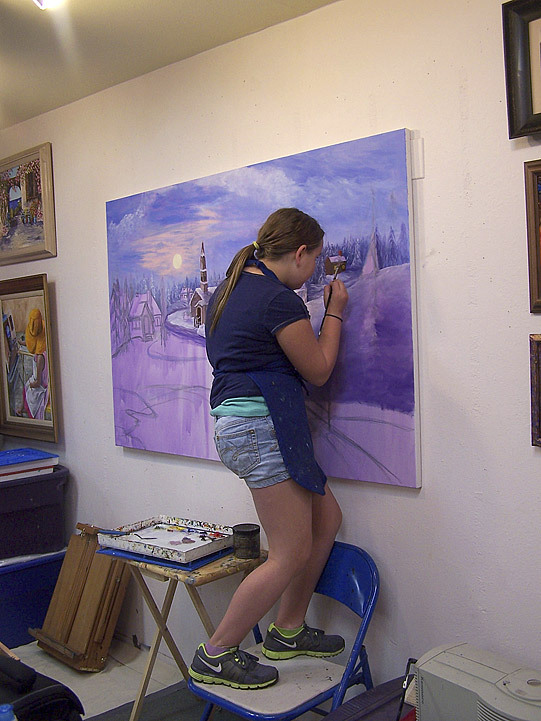 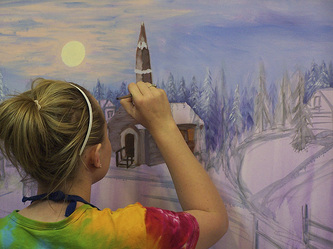 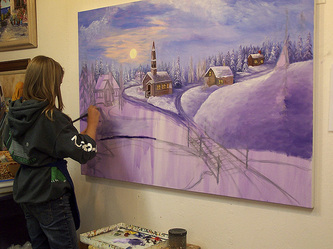 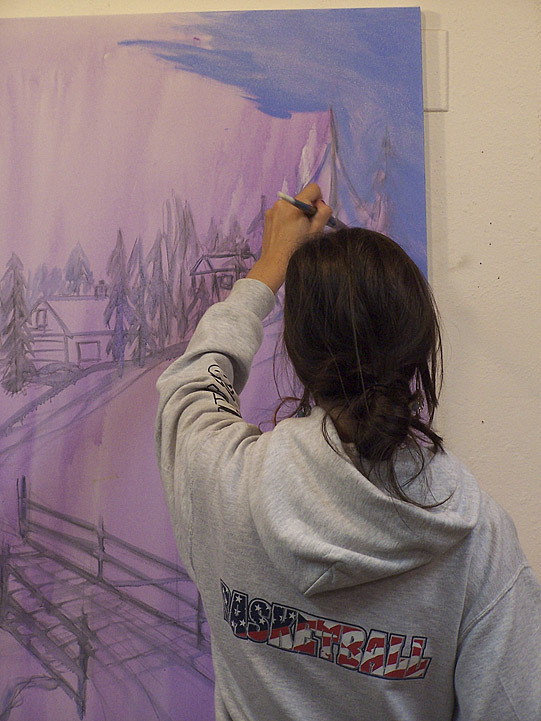 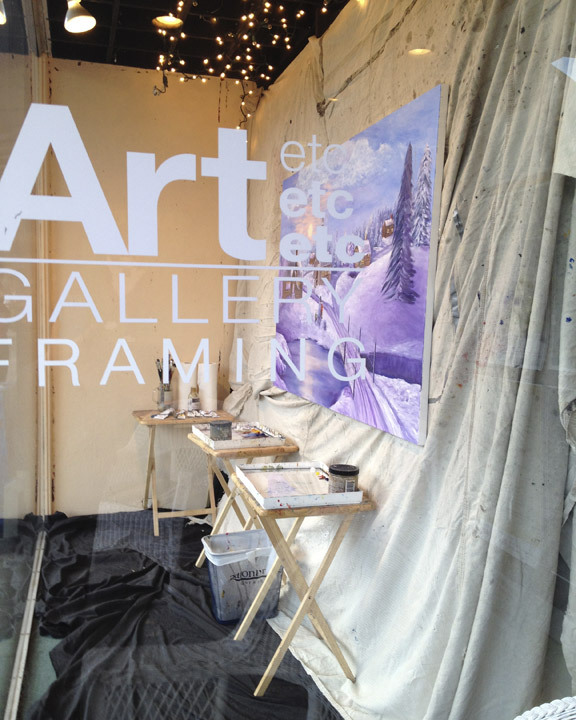 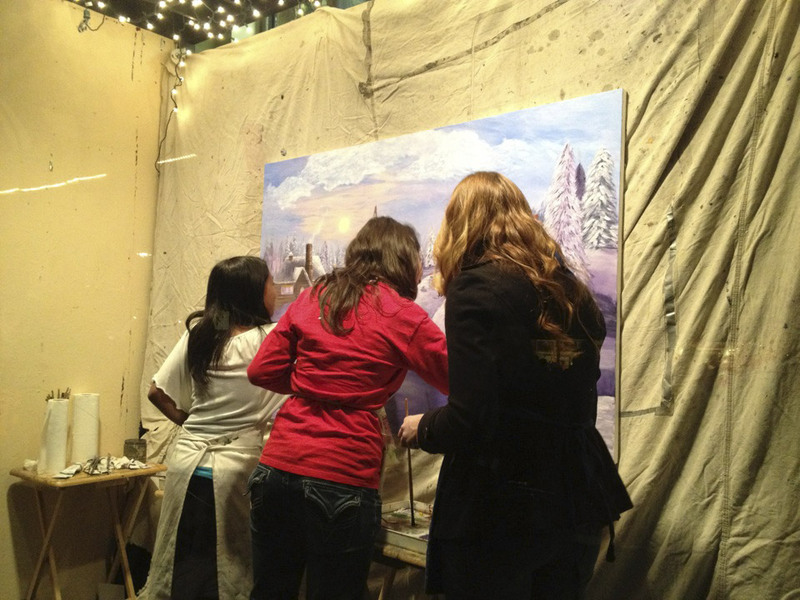 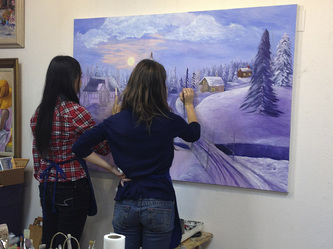 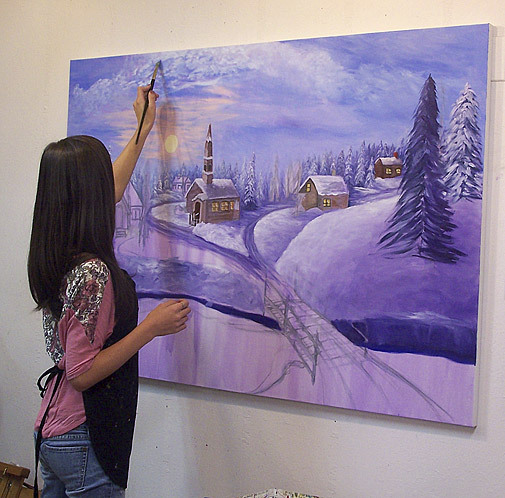 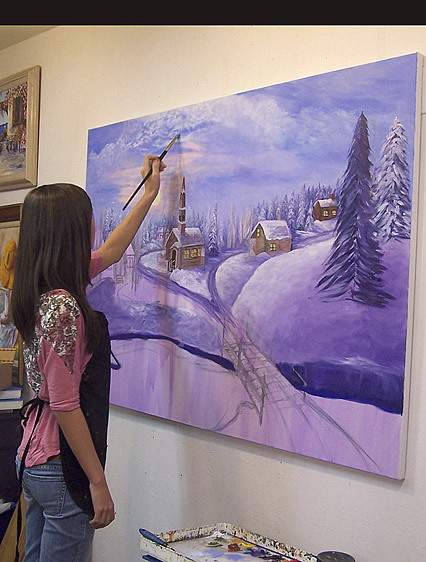 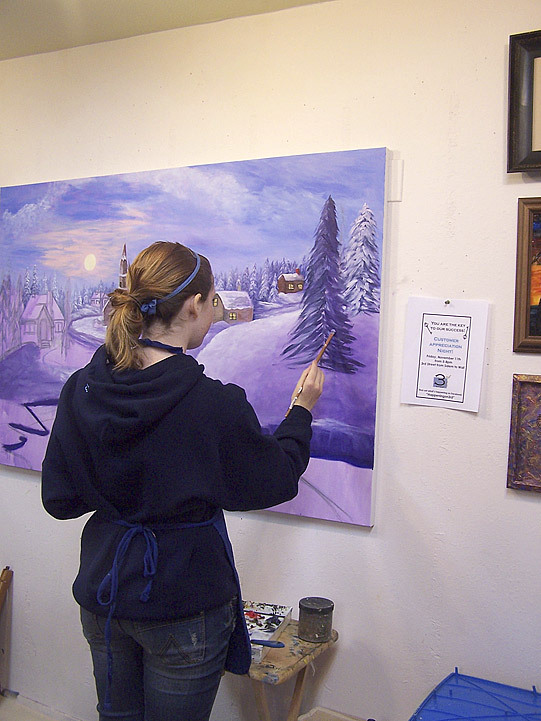 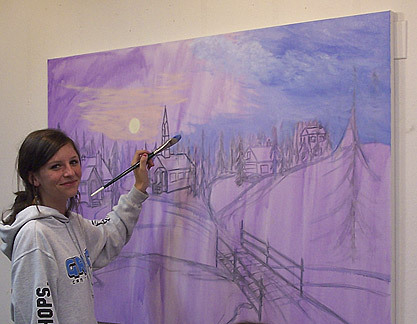 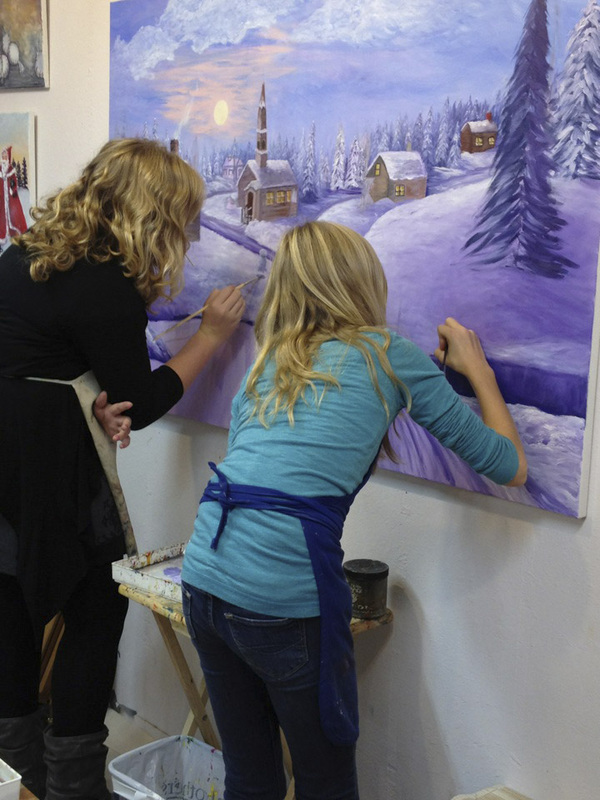 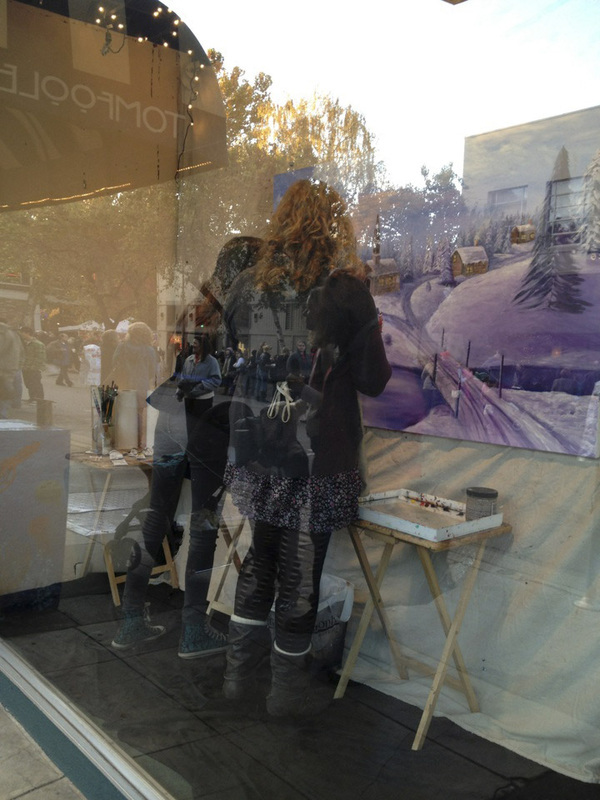 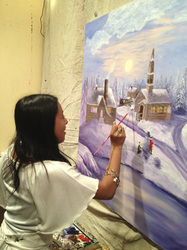 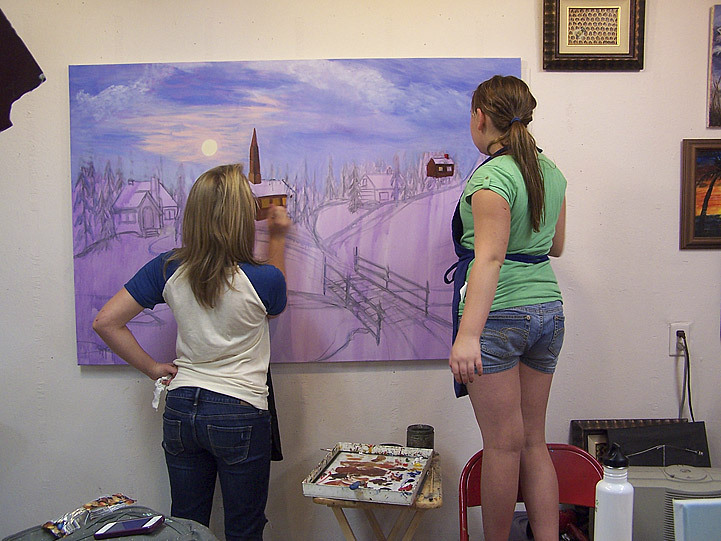 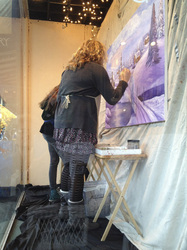 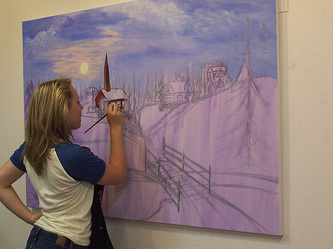 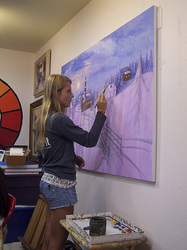 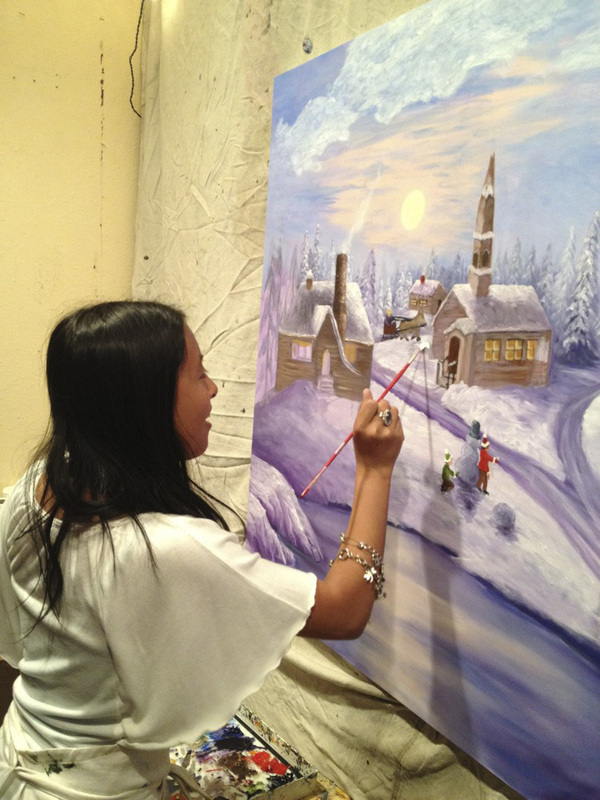 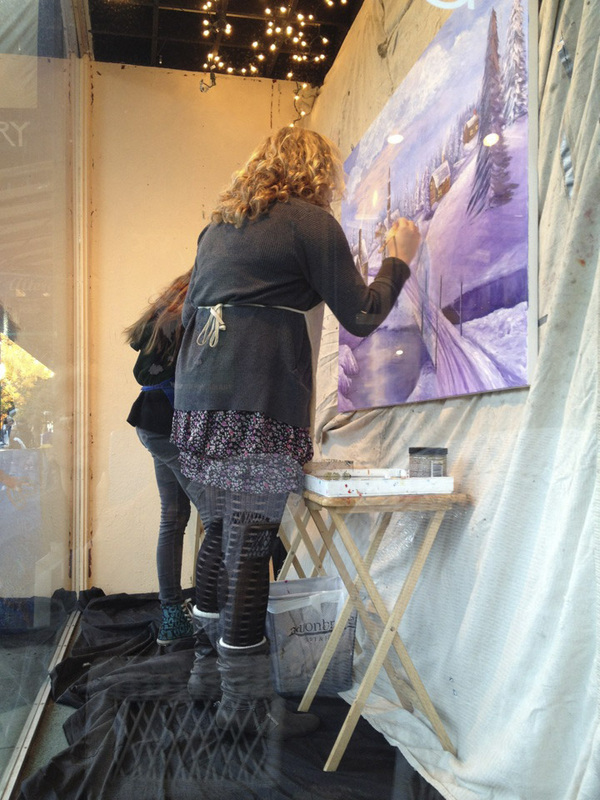 This year our window project is a winter landscape on a 40 x 60 size canvas. 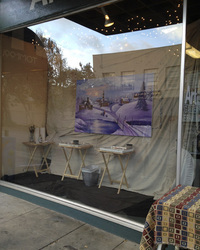 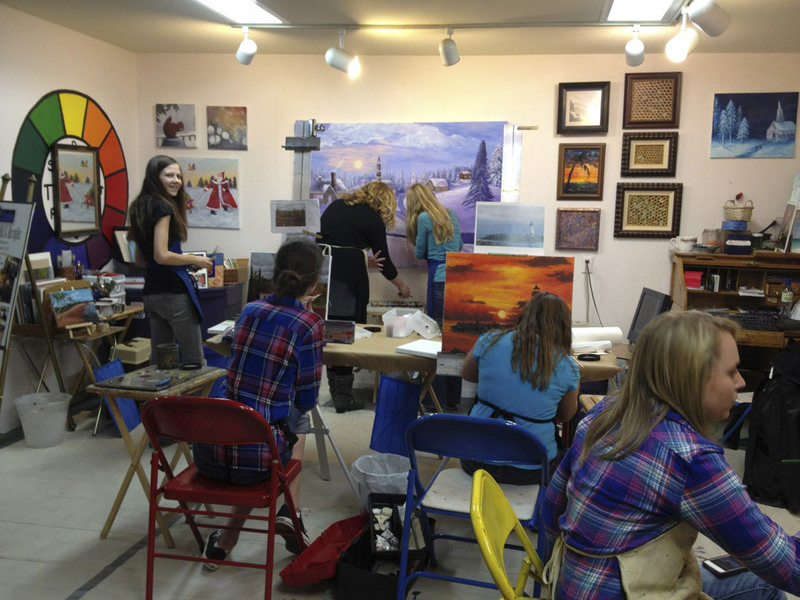 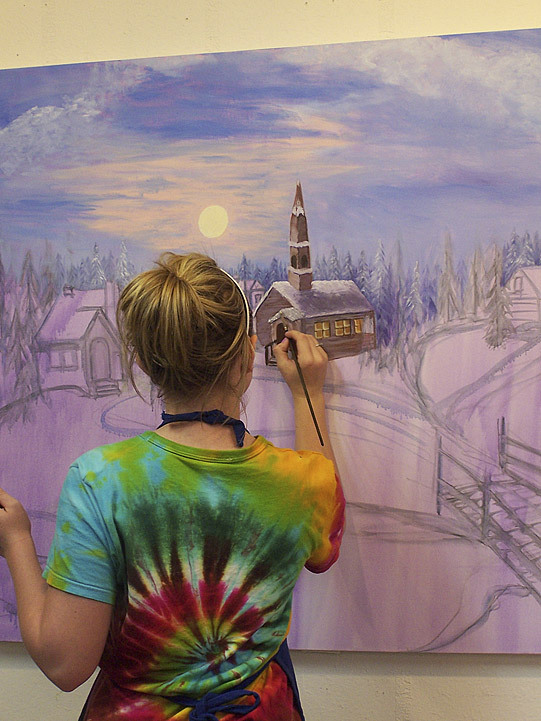 I have a lot of excited new students who are looking forward to painting in the window this year. 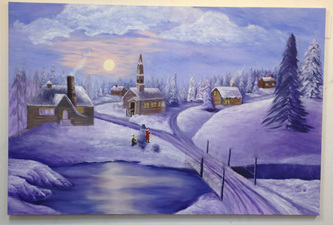 We are gathering images and ideas for this painting everyday. 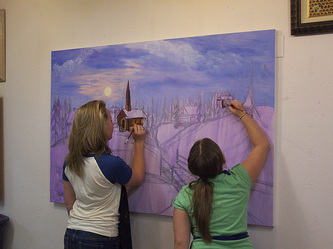 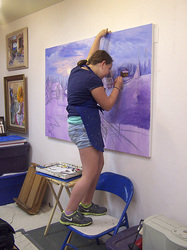 I'm also compiling a list of all the students who will be painting and what they will be painting. 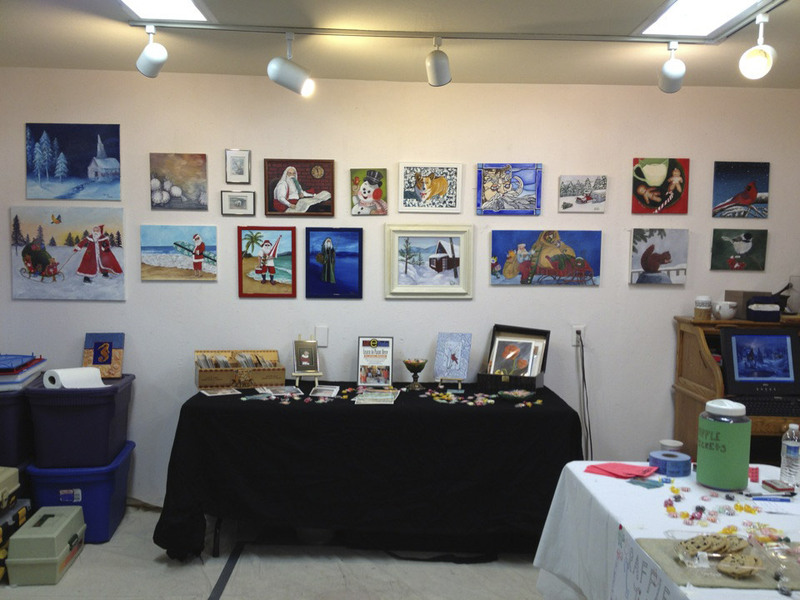 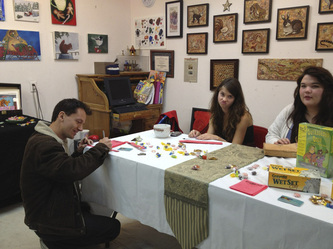 Our 2011 Christmas Preview event was a huge success. I want to thank all the kids who participated this year for all their hard work. The teem effort in making this years painting the best ever showed in the end result. The winner of this years painting is Stacy Shimmel, mother of Haylee Simmel one of my students and a big contributor to the painting project.